ItemC-01172 - Stage between Pemberton Portage and D'arcy. ItemC-06463 - The pipe organ in the Metropolitan Methodist Church, Gorge Road, Victoria. ItemC-06464 - Clover Street, Victoria. Looking West From Mr. Lewis' House At 16 Bushby Street. ItemC-06465 - Sternwheeler aground on Clover Point, Victoria; Clover Point being used as a rifle range. 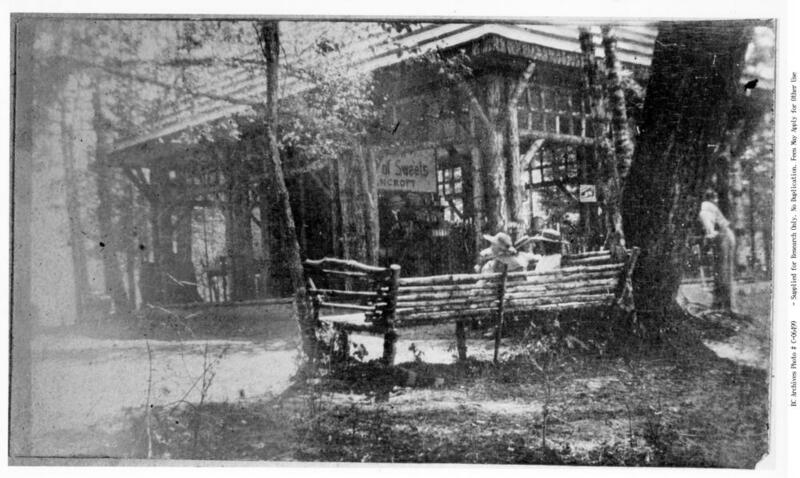 Tea garden was opened July 1907.